Ruth and I had know Ray for some years and I'm glad we got to see him this past summer after missing a year. Just wish now we would of spent more time with him. A few quick shots of Ray at Bonneville. 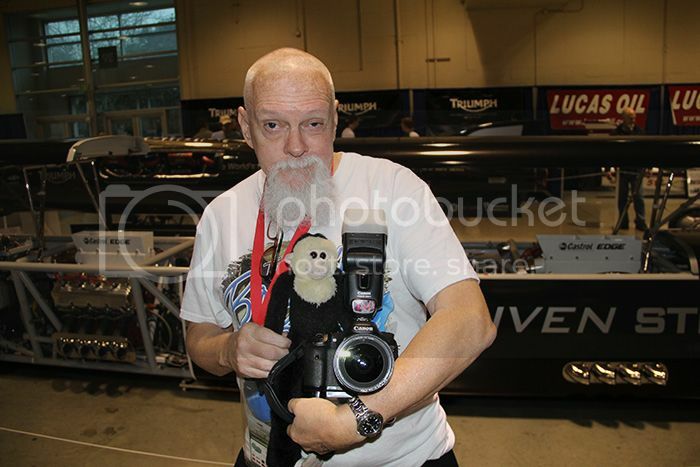 Very sad, I met Ray last year at the salt, a real enthusiast and a great photographer. Ray was a great guy and a real asset to the landracing community. I am so glad that I got to see him at the NW Reunion. He was working hard to cover it with his camera. God Speed my friend. his experience in Death Valley a month ago he has been marginal. tires blew out before he made it to the highway. pneumonia but he did tell me CHF. He just peacefully went to sleep. Freud, thank you for the information. But most of all, thank you for taking good care of him in his last hours. You are a true friend indeed. Glenn, once again you have shown the rest of us what a person should strive to be, a compassionate thoughtful and caring friend. I resisted the urge to call you yesterday and will not call you today either because I know what it is like to be besieged with phone calls after a personal tragedy. I just want you to know how much we all appreciate how you have handled this matter (as well as our recent NW Reunion) with dignity, respect and just the plain, basic facts which is really all we need to know. Here's one for you Glenn. Take your wife our for a nice dinner and share a nice bottle of wine with her. You both deserve it.